Starting a web hosting company is one of the easiest ways to make money online; however, there are several things to be considered before you start off your online venture, so as to ensure success in the short, as well as long run. One needs to worry about lot many things if they decide to do everything on their own, rather than just generating customers to sustain business. Hence, it's advisable to start with minimal investment, and not spend on setting-up the infrastructure right away; dedicated hosting or reseller hosting packages the way to go, in most of the cases. When you want to provide hosting services to your customers, you can't live with shared hosting plans or free hosting choices. Unlike starting a personal blog, starting a web hosting company requires you to set up the required infrastructure, or rely on the bigger players, by purchasing a reseller/VPS/dedicated server from them. So, let's discuss about each of the choices to start a web hosting company without spending a lot of money up-front. To start a web hosting business, one of the easiest options is to purchase reseller hosting packages offered by the top web hosting providers. One of the biggest advantages of buying a reseller hosting package is the sheer fact that you don't need to spend on infrastructure, technical/customer support, billing, as well as maintenance costs. However, it's important to pick a reliable reseller host so that your customers don't get disappointed with frequent down-times, poor technical/customer support, and/or other hiccups. Moreover, reseller hosting won't be able to suffice to your needs for a longer time frame; a VPS or dedicated hosting plans always works better, though you may still start off with a reseller hosting plan if you don't have enough funds to try out a dedicated hosting plan. If you're interested to start off in style, and don't mind paying a hefty price for it, then a VPS package is an ideal choice. With a VPS (virtual private host), you have the root level access to the web server, which allows you to run several web apps that can't be otherwise executed in case of shared hosting environment. Secondly, VPS provides higher security levels, and no other sites are hosted on your hosting space, as opposed to the shared hosting concept. Lastly, VPS gives control of a dedicated server plan, but it is just slightly costlier than a shared hosting plan, not to mention efficient management and network monitoring mechanism. When you've got extensive requirements at hand, you need to look at a dedicated server necessarily. However, this may not be a good idea right away for those starting out a new web hosting company under tight budget. But, if you've got a good marketing team, and sure of getting plenty of customers soon enough, you should definitely consider putting your money on a dedicated server rather than starting out with a VPS, and upgrading when it really becomes unavoidable. What's more, with a dedicated host, you don't have to worry about security, and performance of the server either! 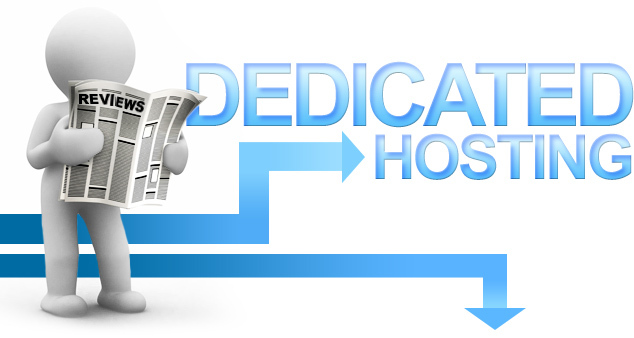 So, I'd recommend you to start off with a dedicated hosting plan right away. It is quite crucial that you test everything before you even think of starting your business, and getting the first customer. Whether you take a dedicated web hosting plan, or manage with a VPS/reseller hosting plan, you must test how things work out by registering a couple of domains, and setting up billing operations for a dummy customer. Additionally, you must try to contact the technical support team of your potential host to check if they respond properly, and within a reasonable time frame. Once you're sure that everything is smooth enough, you're good to start your own web hosting company, and reap the benefits without really spending a penny on the infrastructure.